THE CIELO OWNERS CLUB OF INDIA WAS BORN JUST RECENTLY AS SEPTEMBER 2010 . IT WAS THE IDEA OF DR. JESWANT THOMAS A DENTIST BY PROFESSION AND A CAR DESIGNER BY HOBBY .DR THOMAS HAD 2 CARS A 1985 MODEL SUZUKI 800 LOVINGLY MODIFIED TO A TWO DOOR SPORTS CAR WITH FERRARI FEATURES AND GOOD LOOKS THE OTHER WAS A 1985 MODEL CONTESSA MODIFIED INTO A 15INCH WHEELED MONSTER ON THE LINES OF A CADILLAC. HE RECENTLY BOUGHT A 1997 MODEL CIELO AND TO IT A NEW FASCINATION ERUPTED. THE CAR WAS SPACIOUS AND BEAUTIFUL AND HAD A PICK UP THAT WOULD MAKE EVEN CARS TODAY GASP FOR AIR. I MODIFIED THE CAR WITH TWO TONE COLORS AND RACING FEATURES . IT IS THE RED AND BLACK ONE MY FRIENDS CALL THE DOCS CAR. THE CLUB WAS FORGED ON DEC 4TH 2010 AFTER DR THOMAS MEET TWO OTHERS WITH A SIMILAR PASSION FOR THE CARS AND CALLED THE FIRST MEETING ON THE SAME DAY. THAT DAY FIVE CARS PARTICIPATED. SUBSEQUENTLY D.N.A. NEWSPAPER PUBLISHED OUR CLUB AND THE NEWS OF THE C.O.C CAME TO LIFE ON DEC 12TH 2010 WITH OUR CLUB APPERARING ON PAGE TWO . SOON AFTER OUR CLUB BEGAN TO SPREAD ITS WINGS ALL OVER BANGALORE AND THE NEIGHBORING CITY'S AND TOWNS . TODAY WE ARE HALF A CENTURY IN NUMBERS AND GOWNING. 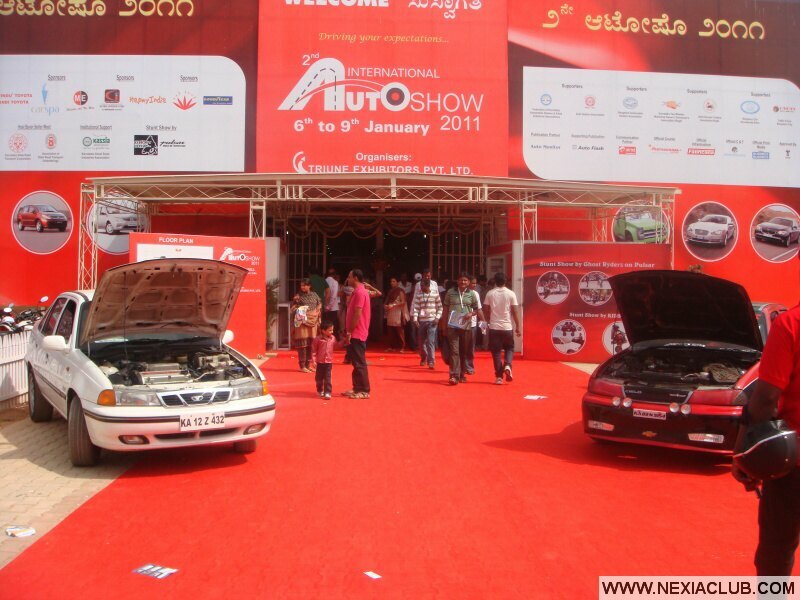 CIELO OWNERS CLUB WAS EVEN INVITED TO ATTEND THE INTERNATIONAL AUTO SHOW HELD IN BANGALORE ON THE 8TH AND 9TH . 11 BEAUTIFUL CARS LINED UP FROM ONE SIDE OF BANGALORE AND DROVE TO THE VENUE OF PALACE GROUNDS . NOT ONCE DID THE GROUP BREAK IN BETWEEN IT WAS PERHAPS THE FIRST CIELO TRAIN EVER. AT THE VENUE WE HAD THE RED CARPET ENTRY AND RED CARPET PARKING....... CIELO CLUB AIM IS TO BRING ALL LOVERS OF THE CAR FROM THE SIMPLE BASIC MODEL TO THE COMPLEX NEXIA .WE COME TOGETHER EVERY MONTH AND PLAN FOR PROGRAMS AND OUTINGS AND SERVICE CAMPS . CIELO IS NOT A DEAD CAR THE PARTS ARE ALL AVAILABLE THOUGH G.M. AND CHEVROLET MOTORS . ANY MORE CLARIFICATIONS YOU MAY PLEASE CALL DR THOMAS PRESIDENT C.O.C 7411340128 , MR FELIX VICE-PRESIDENT C.O.C. 9036218687 OR MR NAVEEN TECH. GENERAL SECRETARY 9741118383.